At least 50 people have been killed and over 100 others injured in a suicide blast outside a public park in Pakistan's eastern city of Lahore according to health ministry officials. 1. Pallas decile Pluto; Pluto square Uranus and parallel Saturn (rulers of Pallas). 2. Venus in Pisces conjunct Neptune. Venus co-ruler Jupiter opposite Neptune. 3. Venus widely sextile Pluto, which is trine Venus co-ruler Jupiter. 5. Sun square Pluto assisted by Mercury/Uranus. 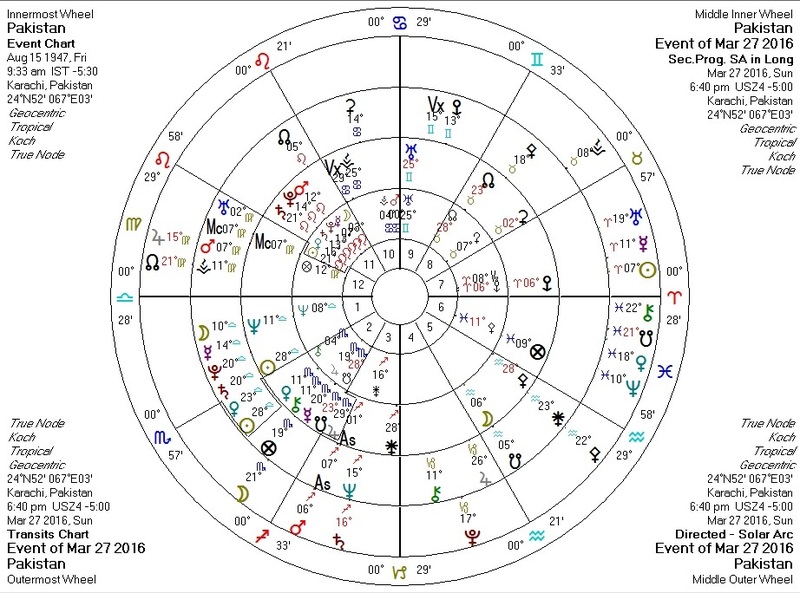 The "decile" aspect (here between Pluto and Pallas) is normally too weak to trigger a major event, but in this case Pluto is already in aspect to both Pallas' sign rulers, allowing even a very weak spark to set off an explosion. 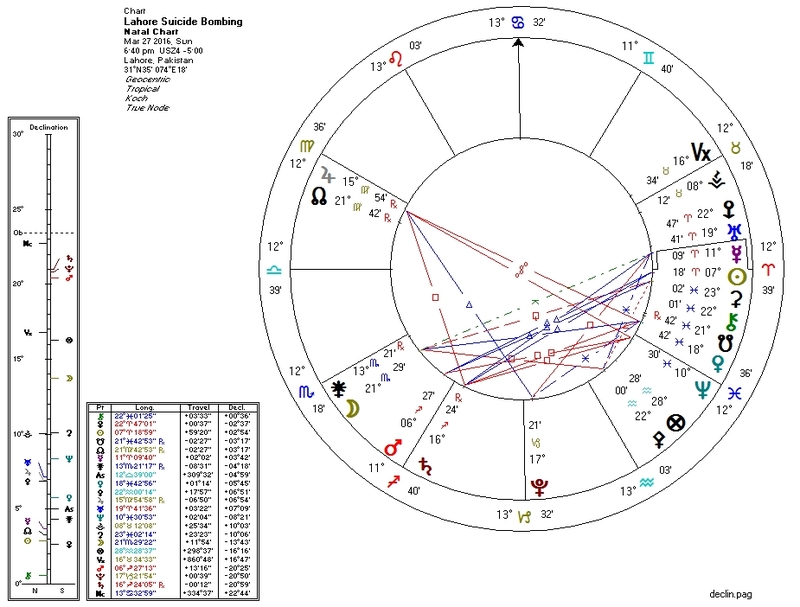 There is an ongoing Pluto-to-Pallas transit against the chart of Pakistan, with transiting Pluto novile progressed Pallas, and trine solar arc Pallas. Pallas restrains action in favor of ethics and logic. Pluto weakens that restraint.